Sustenance Books & is nice place to spend some time and get some great books. ...what a homey spot to enjoy a good book! Thanks for sharing, enjoy your week. Nice one! Love welcoming bookshops! 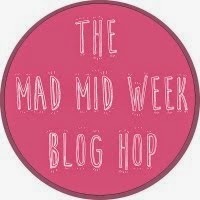 What a lovely book shop :) Thanks so much for sharing your post with us at Welcome To The Weekend Blog Hop. That looks like a cosy and welcoming book shop! A great place to chill out and spend some time. Thanks for linking up with #ZTT!